39 West Press, 9780990864905, 88pp. 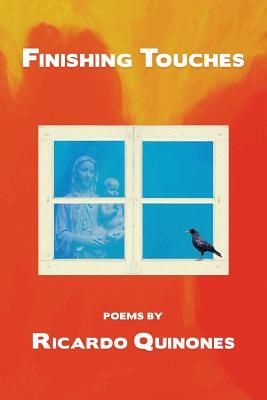 From scholar-poet Ricardo Quinones comes his first collection of poetry since the critically-acclaimed A Sorting of the Ways: New and Selected Poems (2011). Finishing Touches, Quinones fourth book of poems, is a purposeful combination of the old and the new. The old, represented by Teeming Americana, has its logic in history and opens itself to dramatization while the new, Station Crossings, tends more towards philosophical gatherings and the quests and the needs of character types. The line of difference is marked by the first of the new poems, where reality of events seems to contradict the mythography of poetry. Presented in prose, "The Coda" is followed by a "defense of poEsie," which then plays its part throughout the new poems. Thus, Station Crossings is made up of sections with two poems: the smaller, secondary one intended to counter, augment or disdain the primary, larger venture.